Last night, Presbyterian Ladies’ College (PLC) held its 2012 Sydney Journalism Forum at the school’s Audrey Keown Theatre in the suburb of Croydon. I was one of the guest speakers, along with Nick Cater, editor of The Weekend Australian, Peter Charley, Executive Producer of SBS’s Dateline, Anna Patty, state politics reporter for The Sydney Morning Herald, and Helen Trinca, managing editor of The Australian. Organised by PLC English teacher, Adrian Richmond, the forum discussed citizen journalism, the social media, video journalism, the future of journalism and newspapers, the relationship between journalists and politicians, and the essentials of journalism, followed by a lively Q and A between the speakers and the audience of about 150 students and teachers. The forum was excellent, the students intelligent and curious, and the staff, friendly and caring. I dips me lid to PLC and Adrian Richmond. This is the speech I delivered. That comment came from a newspaperman and World War One historian, Frank H. Simonds, who would have probably said tv journalist, except he died in 1936, before television took over the world, until recently, when it’s been taken over by Facebook and Twitter – well, almost. Given what’s happened in recent months to Peter Slipper and Craig Thomson (pictured above), and the mayhem that passes for politics in Parliament, both in the Federal and State spheres, it’s hard not to look down at a politician. The only problem is that more people seem to look down on journalists than politicians. There are regular surveys about the popularity ratings of various occupations and journalists usually finish near the bottom above real estate salespersons and used car dealers. One of Australia’s top journalists, Laurie Oakes, political editor of the Nine Network, and doyen of the Canberra press gallery, told the Press Freedom Dinner in Sydney recently that public trust in the media is declining and we need to rebuild that trust. How did we get into this mess – where we can no longer look down on politicians? And a politician like Craig Thomson can blame all his woes on us? Well, in my view, it’s all about quality and honest journalism. An admission: I hardly ever watch A Current Affair on the Nine Network or Today Tonight on the Seven Network these days. I’d be interested to know how many of you actually watch them as well. (Only about 7 or 8 people in the audience raised their hands – one of them was Nick Cater, editor of The Weekend Australian!) For me, life is too short to watch repetitive stories about bad neighbours, bad backs, possible cures for cancer, dementia, influenza, you name it, they have it, and a hardy perennial: supermarket prices. The only problem is that, as George Negus said at the end of his short-lived current affairs program on Network Ten, not enough people were watching his show – which actually looked behind the news of the day and came up with quite a few good stories – as A Current Affair used to do. And, to be fair, ACA does ask on its website what people want to see. Amid the consumer stories on ACA, there are still good yarns (and good staff). I know because I usually have to judge some of them for the Nine in-house camera and editing awards. For twenty years I worked on the Channel Nine Sunday Program, which was broadcast nationally from 9 to 11am every Sunday from February to December. The only brief we had was to make quality television – like Peter Charley and his team make on Dateline. We didn’t have to worry about ratings, but they were fairly good, even better when a big political story broke, or the day after a Federal election. It’s always been my contention that quality journalism will attract good ratings on television, and Sunday proved my point. We also won Logies and Walkleys and Penguins and all kinds of awards, but that’s not what a good program is all about – it’s about the quality of the stories you tell. We had excellent reporters and presenters like Jim Waley and Jana Wendt, a political editor like Laurie Oakes, and great behind the scenes people: producers, cameramen, editors, directors, librarians, researchers (I won’t name them all here as I’m bound to leave somebody out). We didn’t have as many staff as 60 Minutes, but they all worked together as a team. They worked through the night – several nights in a row sometimes – to get a same week story to air, and never complained about the long hours, or asked to get paid overtime. Sunday was like a family – it still is. Our arts editor, Catherine Hunter, who produced stories on Sidney Nolan, Brett Whiteley, Dame Joan Sutherland, to name just a few, recently directed and wrote a doco on Roger Law, who co-created the Spitting Image puppets of former politicians like Margaret Thatcher, and is now making ceramic art in China. Eight of the former Sunday staff showed up at an exhibition of Law’s art to support Catherine’s latest and, as usual, sterling efforts – her doco was shown on the ABC Tuesday, May 15. One of my major tasks for the past 25 years or so has been — aside from producing the Sunday Program, the Sunday and AM and PM Agenda programs for Sky News and Meet the Press on Network Ten — has been getting political guests for the programs. It’s not easy. All the journalistic experience in the world does not help secure the desired guest. Surely, you say, you just call up the media adviser to the politician, and he or she says yes or no immediately. Oh no, politicians from the Labor, Liberal, National and Green parties, and Independents, can sometimes take days to say no … while their advisers lead you on, suggesting they will say yes. What’s really awful is when they say yes, then hours before the show pull out of the interview with a lame excuse, or in some cases, no excuse at all. This is when producers get heart attacks. At least when I was on Sunday, if a guest withdrew at the last minute, you could always fill the spot with a taped item, or a news feature or a backup interviewee, if you’re lucky enough to have one on hand. When a guest pulled out of Meet the Press, it was heart attack city. I’m sure Peter Charley has a few tales to tell on that score. Our political editor on Sunday was Laurie Oakes, and while you think it would be easy getting guests for him, some politicians were afraid to come on the show. Why, for example, Craig Thomson agreed to talk to him the Saturday before last on the Today Show is beyond me – except, of course, to test the waters for his speech to Parliament on Monday – when he said many of the same things. Laurie gave him a hard time, and he does have questions on the clip board that he holds close to his chest – a structured interview that he’s not afraid to deviate from, if the guest gives an answer that needs to be followed up. And that’s the secret of a good interview: do a lot of homework, write the questions down, but don’t be afraid to throw them out, if the interviewee says something wrong or outrageous or newsworthy that demands follow-up questions. And, by the way, trying to get guests overseas is even more difficult. You send the adviser emails, then follow it up with phone calls, usually late at night or early in the morning, and then have to book the satellite. And then you worry until you see and hear the guest on air, and that the satellite doesn’t drop out during the interview! For some reason, the tabloid current affairs programs have stopped interviewing politicians, because they think they won’t get good ratings. That’s usually because the interviews are boring, or the interviewer has allowed them to become boring. Seldom does Laurie Oakes do a boring interview. It was often more difficult to get politicians to appear on Sky News’ Sunday Agenda program, as Sky’s ratings – it’s subscription television — weren’t anywhere near Nine’s or the ABC’s Insiders. That’s why the pollies often waited for a better offer when I asked an adviser if his or her boss could appear on the show. Things are better now that the Australian Agenda program on Sky on Sunday morning has a presenter and panellists from the Australian newspaper on board. It virtually guarantees the guest that any newsworthy quotes will appear in The Australian the next morning, if they don’t make the Sunday night television bulletins. The ABC Insiders program at 9am Sunday with Barrie Cassidy and a panel of three journalists has the best ratings, and usually gets the best guests. The Bolt Report at 10am on Ten, with conservative columnist Andrew Bolt, is usually next in the ratings, followed by the long-running Meet the Press at 10.30 on Ten, with Paul Bongiorno and Hugh Riminton sharing the presenting role, and two journalists and two guests (Disclosure: I produced Meet the Press last year). Now in its 20th year, Meet the Press has been using a similar format to its American counterpart. But NBC’s Meet the Press has a bigger set, more guests, more money and a much bigger audience, given the population of the US and the fact that it’s the longest-running television program in the world – it was first broadcast on November 6, 1947, nearly 65 years ago. That augurs well for the future of political talk shows if the US Meet the Press is about to reach the age of retirement, but, of course, it doesn’t necessarily spell the same for the future of newspapers and journalism. 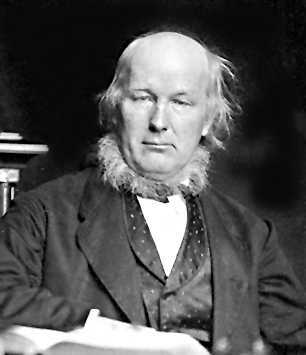 That’s attributed to Horace Greeley, a famous American newspaper editor (pictured), who founded the New York Tribune in 1841 after making a name for himself as the editor of the Whig Party’s campaign weekly, the Log Cabin, and helping William Henry Harrison become the Ninth President of the United States. Unfortunately, Harrison had the shortest presidency in history, dying of pneumonia after only 32 days in office. Fortunately, journalism has certainly kept me alive, as I have managed to live longer than the average age of death for journos, which used to be 53 (it may have gone up a few years). But it is that sort of profession. Television can be very exciting: after you’ve put a program to air, and you know it’s been a good show, the long hours and pressure makes it all worth it. That’s how I felt after most of the Sunday programs I produced – the more you put into them, the better you felt. But if you wish to pursue a future in journalism, well, there aren’t as many jobs out there as there used to be – especially in the traditional news positions. According to The Australian, the media employs only an estimated nine thousand journalists, and the Media, Entertainment and Arts Alliance, the union representing journos, estimates the total number of entry-level jobs in journalism each year would be in the low hundreds (which is likely to be the number of people in the audience here tonight!). And Australian universities enrolled a record 4,750 journalism students in 2010. It’s not like the good old days when if you left one newspaper or television or radio station, you would walk across the road and get another job in the media. There are however more online jobs, so you can get a job as an online producer, or get a camera and become a video journalist and if Dateline can’t hire you, then write, shoot and edit your own story or doco and hope you can sell it to someone. Or you can start your own blog and try to make a name for yourself, and possibly make money. I don’t make any money out of my blog, just the satisfaction of knowing that I’ve written a good piece and get some positive feedback. Many journalists are hopeless at finances, and I have followed in that great tradition. And, (as someone might have already mentioned), you can always go into public relations, which we call the Dark Side. The Economic and Market Development Advisors group has employment data which suggests that the number of public relations professionals may exceed the number of working journalists by the end of the year. The good news is that you will make more money in pr, the bad news is that you really need to go into journalism first, and most pr firms will be looking for former journalists. They assume you will have the contacts and the ability to write press releases easily understood by journos! My best advice: learn everything you can about writing, shooting, editing, putting the finished product online, and get your own website. The future is in multi-tasking! Okay, enough of this lecturing from me. We can talk about the future of journalism and the present state of current affairs in our q and a discussion later. We once had a light feature called A Month of Sundays, an idea proposed by Richard Carey, the first supervising producer of Sunday. The idea was that we’d show things you wouldn’t see in a Month of Sundays. It was difficult to find classy and funny items, but we persisted until Funniest Home Videos borrowed the concept and took it down market (surprise, surprise). So it’s something you won’t see again for many months of Sunday, unless Nine brings back the Sunday program – which is about as likely as Craig Thomson being elected Prime Minister!